High and low pressure DPumps are the centrifugal ANSI industrial pumps being used throughout the fluid processing industry as replacements to higher-cost name brand equipment. Processors who use DPumps in industrial applications such as wastewater treatment, chemical processing, mining, dewatering and agricultural irrigation often report that DPumps reduce pump-related processing operation costs while providing superior performance and reliability. The DPumps Line from Phantom Pumps includes seven PL Series low pressure pump models and three PH Series high pressure pumps with impellers ranging in size from 6-1/4 inches to 14-3/4 inches and maximum solids handling of 1-1/8 inches to 3 inches. Low pressure DPumps models are compatible and interchangeable with many Gorman-Rupp T Series pumps, ESCO LP Series pumps and pumps from other leading manufacturers in the industry. Phantom Pumps high pressure pumps are also excellent substitutes for All Prime I Series, Gorman-Rupp U Series and ESCO HP Series pumps. 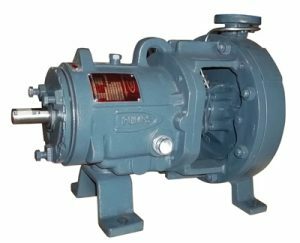 DPumps replacement parts are often used by processing facility service departments for repair and maintenance of compatible brand name pump equipment. The Phantom Pumps parts department processes and ships orders quickly to processing operations in Florida, Georgia, Alabama, South Carolina, North Carolina and throughout the rest of the US to keep potential downtime to a minimum. Contact us today for cross-reference information or to request quotes for industrial pumps and/or parts.